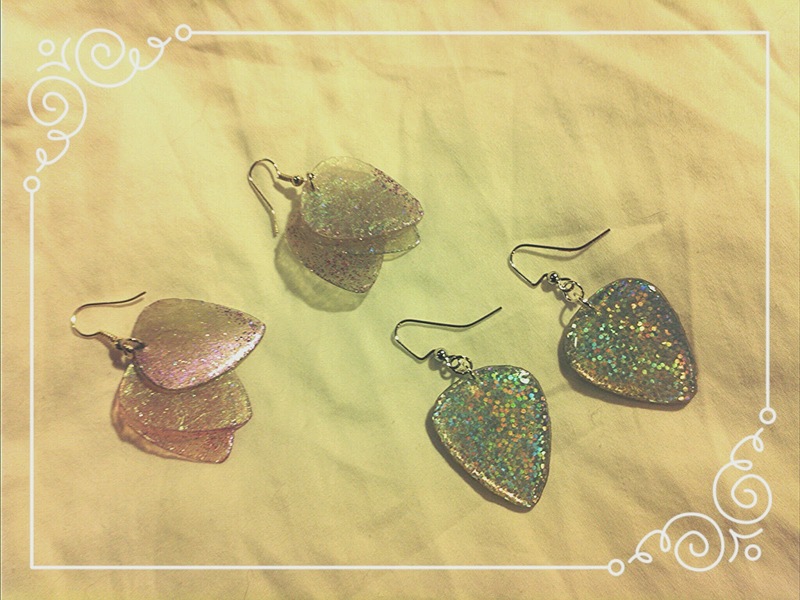 Check out these newly finished pairs of iridescent guitar pick earrings! Purple, green and pink iridescent earrings with three light weight picks on each side. Rainbow iridescent earrings with a holographic shine.